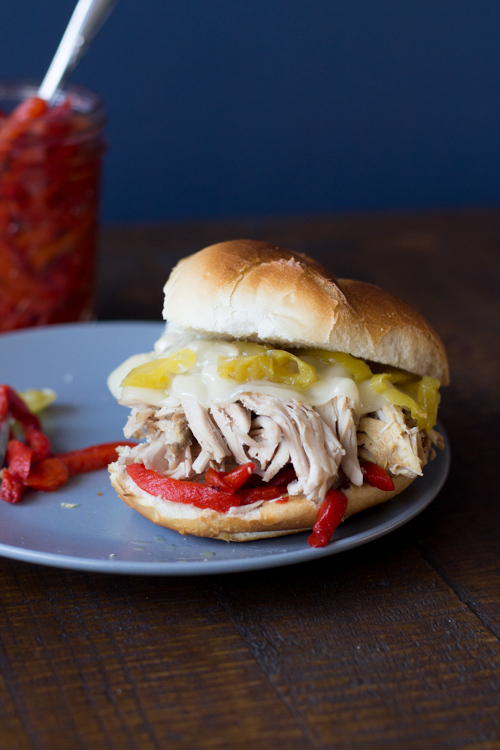 One of my favorite freezer cooking blogs is called Freezer-Friendly Moms, and I’m excited to share one of their recipes today: Slow Cooker Italian Pork Sandwiches! It’s a simple and delicious meal that your whole family will love. 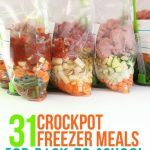 Toss all of the ingredients in your slow cooker or freeze them ahead of time for a busy weeknight. This recipe for Slow Cooker Italian Pork Sandwiches is a super easy and ridiculously delicious dinner sandwich that is perfect for busy weeknights, easy-going Saturdays, and Sunday Funday football game get-togethers. Not only can you assemble all of the ingredients in a baggy and freeze for later, but you can freeze the rolls too! When I go to the supermarket I am usually shopping for the month or at least two weeks because I am a meal planning mamma. I like to buy my meat in bulk, cut it into smaller portions, and freeze it for later. For this meal, I bought a 9.5 lb boneless pork loin and cut it into 3 pieces. I used one to make these Slow Cooker Italian Pork Sandwiches and froze the other two – They would be great in Kelly’s Slow Cooker Cranberry Pork Roast or Spicy Dr. Pepper Shredded Pork. 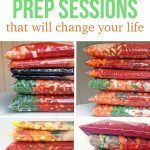 Buying in bulk, meal planning, and freezer cooking has been such a life-saver for me! It keeps more money in my family’s wallet, less dirty dishes in the sink at night, and most importantly, more time to spend with my family. Add all ingredients to slow cooker (except rolls). Cover, and cook on “low” setting for 6-8 hours. Shred meat and stir to combine. Label a gallon-sized plastic freezer bag with the name of the recipe, use-by date, and cooking instructions. Add all ingredients to freezer bag, except rolls. 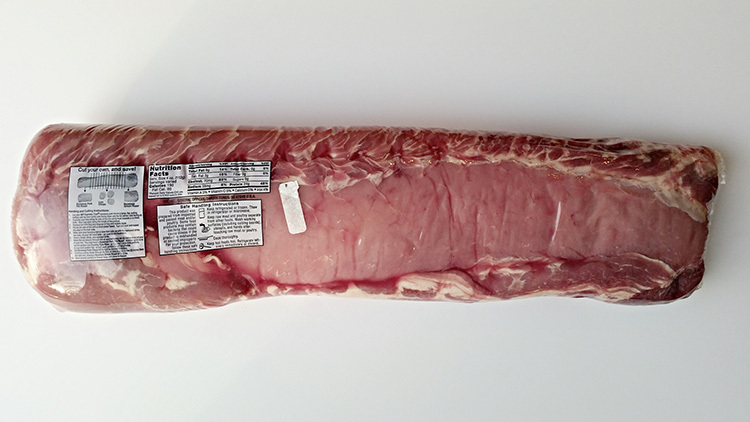 Remove as much air as possible, seal, and freeze for up to three months. When ready to cook, thaw overnight in refrigerator. Place ingredients in slow cooker and cook on low for 6-8 hours. Shred meat and stir. Serve on fresh Italian rolls with provolone cheese and additional banana peppers and roasted red peppers (if desired). Yum! Hi, I ‘m Angela! I am a wife, mother to a handsome toddler boy, and lover of the kitchen! I run the blog Freezer Friendly Moms with my friend Meghan. You can also find our favorite freezer recipes on Facebook, Instagram, and Pinterest. This looks so good! Are the banana peppers and red peppers drained before adding to the slow cooker? Thanks! Now that you mention it, I’m not sure what Angela does. I’ll ask her to respond. It says, undrained in the above recipe- for the banana peppers. The roasted, and additional banana peppers are added to the sandwich. Thanks Angela, and Kelly,for the recipe correction! This is going in the slow cooker tomorrow. My mouth and s watering already! Crazy auto-correct: My mouth’s already watering! Yum! You’ll have to let us know what you think. This is a keeper! My entire family loved it. This recipe wonderful-can’t be easier, and so flavorful! I predict this will become a family favorite in no time. Thanks so much for this! I have a general question to your recipes. 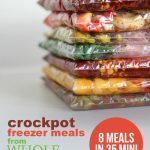 For what size of the crockpot are the quantities and cooking times calculated? All of the recipes should work in a 4-7 quart crockpot. I usually cook meals 4-6 hours in my 6-quart crockpot or 8-10 hours in my 4-quart.